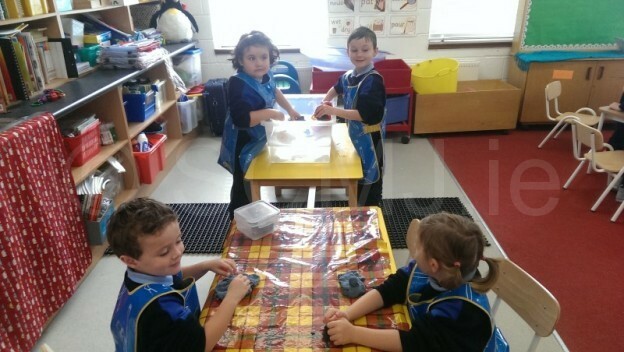 At this station the children can get their hands dug into our sand or water tray and experiment with feeling and touching different textures. During their playdoh time they are encouraged to use the dough to create models of whatever topic we’re talking about that month. This station is exactly as it sounds, we create small worlds! The children use miniature animals, dolls, furniture, blocks and tracks to create a world based on reality or their imaginations. 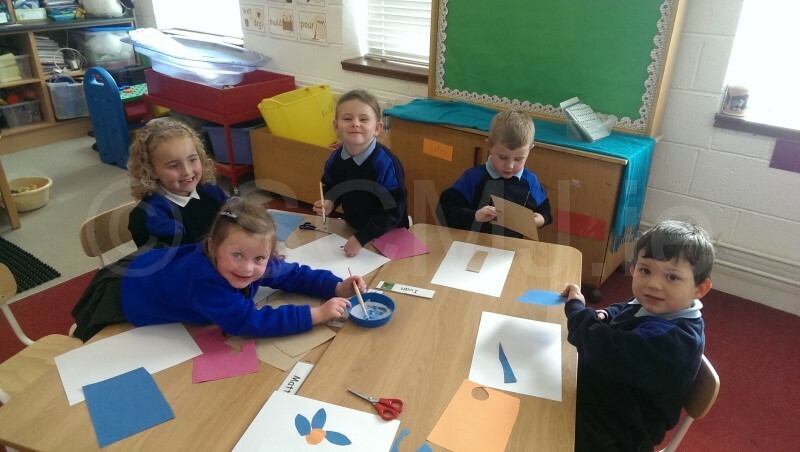 They use ideas from the Aistear theme to create their world. 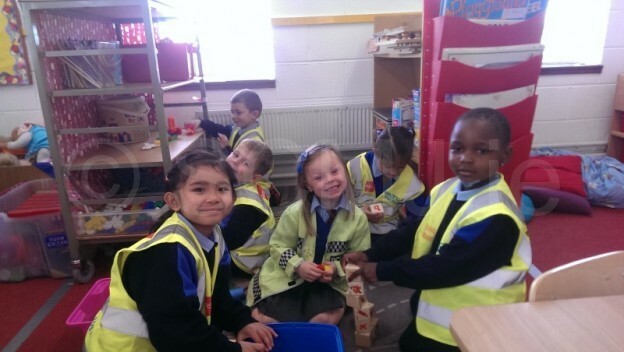 Here the children put on their hi vis jackets (we’re very safety conscious!) and head to the building site. They use lego, straws, wooden blocks, soft blocks and links to build lots of different things to represent items in the Aistear theme. 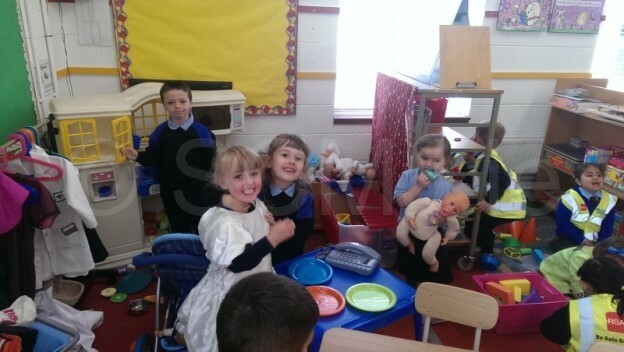 Here the children let their dramatic side shine! They pretend to be different people from different places, and create an imaginary area that they work in. 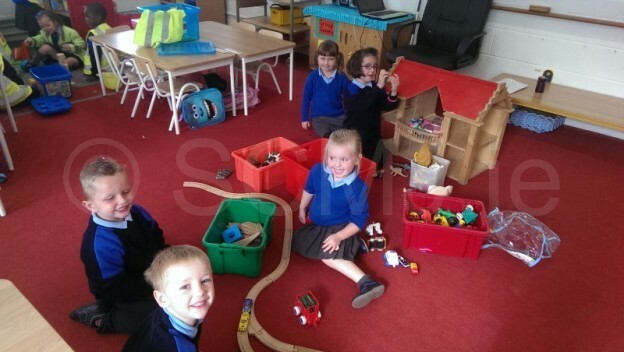 They have to act out their role, chatting to other characters and solving problems. Posted in Junior Infants, Room 16 | Comments Off on What is Aistear? 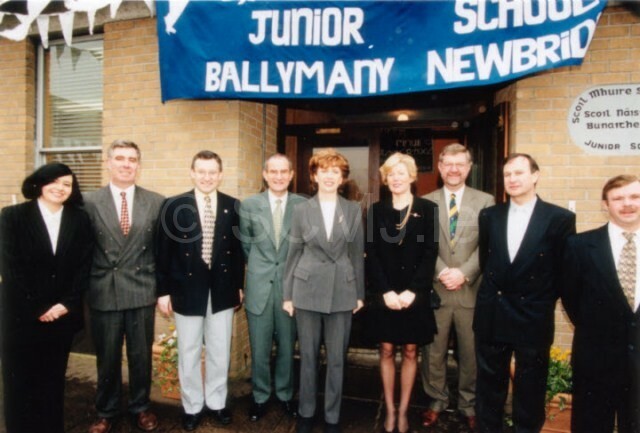 During 1999 we had the honour of welcoming the President of Ireland Mary McAleese on a visit to our school.